A. 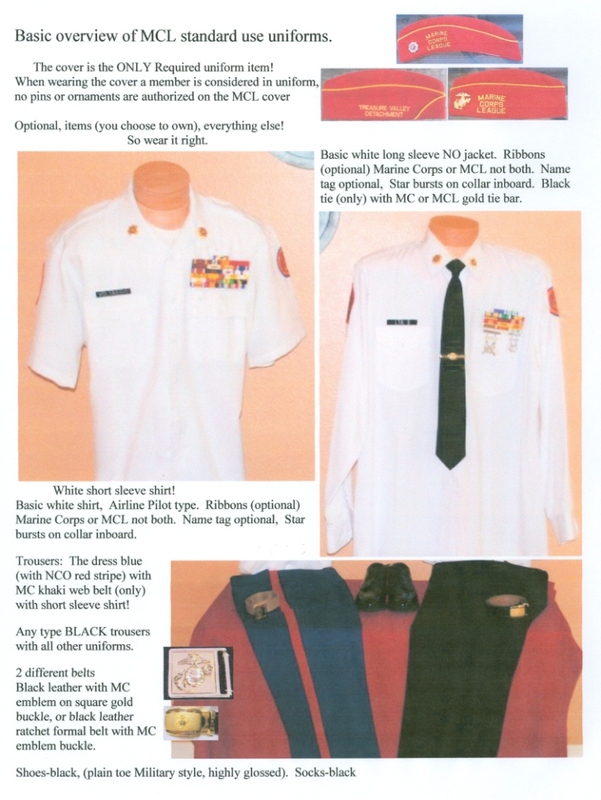 The basic uniform of the Marine Corps League is the unique cover that identifies the members of the Marine Corps League. 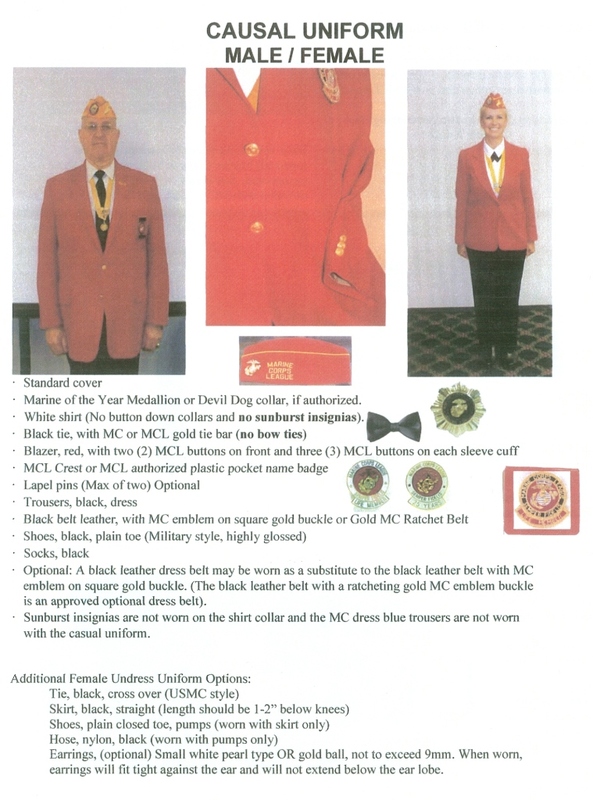 Because all other parts of the uniform that are in this Enclosure three (3) CH 11-05 are optional, the cover remains as the only consistent identifier for Marine Corps League members, which is why the cover is worn indoors at appropriate Marine Corps League functions. 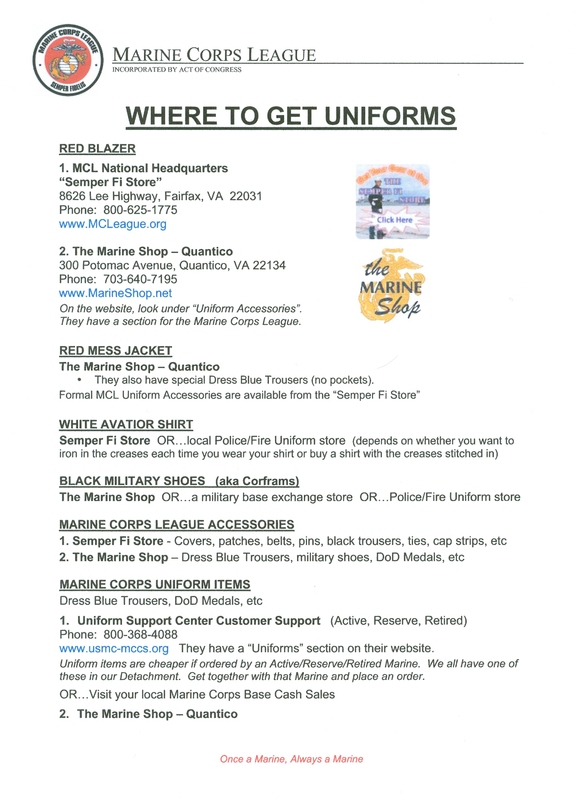 When a Marine Corps League member is wearing the appropriate cover, as listed below, they are considered in uniform. B. All members of the Marine Corps League are authorized the Red cover. Members elected to National office, or appointed to National Staff/committees are authorized to wear Gold covers. The National Commandant will wear a White cover. Members elected to, or appointed on the Department (State) level are authorized to wear Red with Gold crown covers. D. The only insignia authorized for wear on Marine Corps League covers is the anodized solid gold color or polished brass Marine Corps emblem on the left side. The Devil Dog patch, if authorized, will be worn up front on the right side of the cover. The identification strips, i.e. 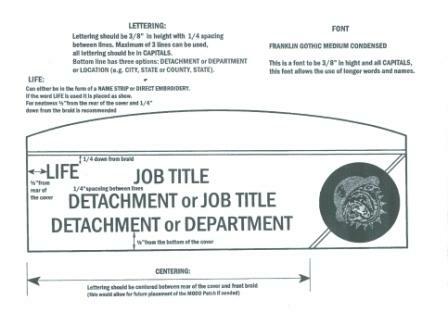 Department or Detachment strip or embroidering, will be centered on the right side. If the “Life” strip is worn, it will be to the rear of the right side. The “LIFE MEMBER” strip will be worn the same as the identification strips are worn, and should be worn above other strips. NO DIVISION PINS OR OTHER PINS/ORNAMENTS ARE AUTHORIZED ON MARINE CORPS LEAGUE COVERS.